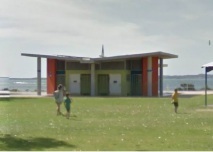 The Mandurah mothersaid she was at the foreshore on Thursday, April 21, visiting family. She said that about 6pm, her daughter needed to use the toilet. “We always go with her and check, but this time something felt really off,” she said. “I asked her to wait but… she bolted. “I immediately grabbed the dog and ran before the bathroom door could shut. The mother said she popped her head in and behind the door in the corner was a man staring at her. The mother said she called the police, but she said there was not much they could do.